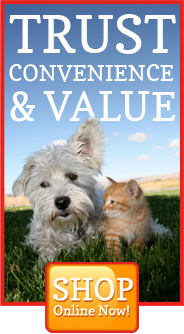 Day Hollow Animal Hospital offers for your convenience an online store. Place your pet(s) medication/diet orders and have them delivered to your doorstep. Click the link below to access our online pharmacy! Vets First Choice is one of the largest, most trusted and easy to use veterinary pharmacies in the country.